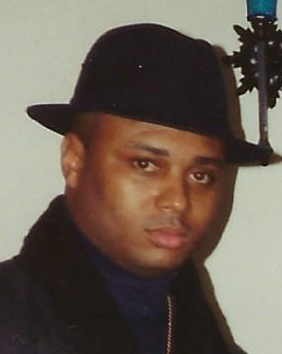 Daryl T. Alston, 52, of New Haven, entered eternal rest on March 22, 2019. Daryl was born in New Haven, CT on July 18, 1966, a son of Woodie Alston and the late Linda W. Alston. He was most recently employed at the Mary Wade Home. In addition to his father, he leaves to cherish loving memories, a son, Ian C. Alston; a brother, Craig S. Alston; sisters, Linda R. and Tameka J. Alston; nephews, Dior and Montae Alston; and a host of other relatives and friends. He was preceded in death by a sister, Antonia Washington. A celebration of Daryl’s life and legacy will be held Saturday, March 30, 2019 at 9:00 a.m. at Springs of Life – Giving Water Church, 375 Howard Ave., New Haven. Viewing will be held at the church from 8:00-9:00 a.m. Burial will be in Beaverdale Memorial Park. Sarah and Robin Boyd would like to express their deepest sympathy to your family for the death of your love one. we will keep you in our prayers. CRAIG,MY PRAYER GOES OUT TO YOU AND YOUR FAMILY,SORRY TO HEAR ABOUT THE LOSS OF YOUR BROTHER,PLEASE CALL ME. iF WE CAN DO ANYTHING FOR YOU. LOVE YOU ALWAYS. JAMES&middiree pearson. Very sorry for your loss your HAVE my prayers and blessing….ms Moye and family. Dear Linda and family, May God hold you close and give you strength and encircle you with love and peace today and everyday as you cope with Daryl’s passing. May memories of your life with him bring you laughter and love. So sorry for your loss. Here at The Hamden Community/Brundage Library on Circular Ave. we feel your loss. Daryl was a frequent patron and spent many hours on our computers. He was a very kind soft spoken gentleman and avid Jet’s football fan. He will be missed by us. From the Cohens family to our neighborhood family the Alston’s. Our heartfelt condolences we offer to your family with the untimely death of your son, brother and father Daryl. Our family grow up on Judson Ave and we were and still are close knit neighborhood despite few of us moving to different states and cities but we somehow still come together either by crossing paths or on Judson Ave were some of our parents still live. I want to say thank you to Daryl parents for blessing our presence with such an AWESOME person in their son. Daryl was always REAL and for that he will be truly missed in the neighborhood. May you Rest in PEACE my brother.